Students wishing to take courses for credit or pursue undergraduate degree programs in Harpur College of Arts and Sciences, College of Community and Public Affairs, Decker School of Nursing, School of Management or Thomas J. Watson School of Engineering and Applied Science must be admitted to the specific school (or re-enrolled if appropriate) before registering for courses. 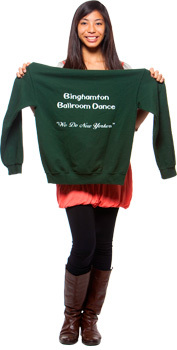 Admission forms and information are available online at http://www.binghamton.edu/admissions/. In addition to academic program information in the Bulletin, additional information is available online from the Undergraduate Admissions Office, academic departments and schools. Before the start of each academic term, Student Records publishes the schedule of course offerings online on BUBrain at http://my.binghamton.edu, for which a log in is necessary. The public schedule is available at http://ssb.cc.binghamton.edu/banner/bwckschd.p_disp_dyn_sched. Freshmen are defined as students who have attempted no college coursework, or whose only college courses were pursued before high school graduation. All of Binghamton’s undergraduate schools accept freshman applicants. 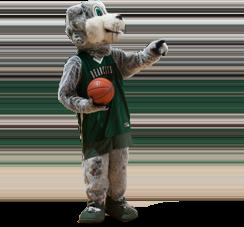 Binghamton offers Early Action admissions, an option frequently used by applicants for whom Binghamton is a top choice. Applications are available online at http://www.binghamton.edu/admissions/apply/. Binghamton University accepts The Common Application, the State University of New York (SUNY) Application and the Coalition Application. Freshmen are required to submit a high-school transcript. Binghamton strongly encourages SOAR, the SUNY online academic record system, since it instantly confirms transcript receipt. An essay and a teacher or counselor recommendation are also required for all applicants. Score results of the SAT or ACT with writing must be sent directly by the testing agency to the Admissions Office. Binghamton will accept old and new SAT scores for admission consideration for fall 2017 and fall 2018 terms. Both versions of the test will be treated equally in the admission process. Applicants must be graduates of an accredited secondary school or offer evidence of equivalent education. After admission for the fall term has been offered, an enrollment deposit of $350 must be paid by May 1, or 20 days after admission, as specified in the admission letter. Deposits are non-refundable. Students admitted to the spring term are given 20 days to pay deposit or until the start of the term, if less than 20 days. Payment of an undergraduate admissions deposit indicates that the student plans to enroll. Students may accept an admission offer from one school only. If a student pays a deposit at more than one institution, Binghamton may revoke the offer of admission. All enrolling students must complete, with the aid of a health official, a health history and a physical examination report prior to orientation and course registration. Students unable to submit health forms because of religious affiliation should consult the University Health Service for alternatives at http://www.binghamton.edu/health/. Binghamton also requires a final high-school transcript. Specific enrollment goals are set for each undergraduate school. Available spaces in relation to the number of applications, as well as admission policy, play a role in who is admitted. Admission is very selective. Freshmen are admitted to one of five undergraduate schools/colleges: Harpur College of Arts and Sciences, College of Community and Public Affairs, Decker School of Nursing, School of Management and Thomas J. Watson School of Engineering and Applied Science. Majors are declared after students enroll in the school to which they were admitted. Applicants to the University are admitted on the overall strength of their applications. While academic criteria such as grades, quality and level of courses, test scores, trend of grades and rank are primary, involvement in leadership and school and community activities, recommendations, and how effectively an applicant communicates strengths and interests, are also important elements in an admission decision. There is no automatic cutoff in the admission process, either in GPA, test scores or rank, as the Admissions Committee is aware of differences in how secondary schools grade and rank their students, as well as ways in which secondary-school offerings and competitiveness vary. Home-schooled applicants with well-documented educational and personal achievement records are encouraged to apply. The Admissions Committee seeks to enroll the strongest and most diverse class possible. Candidates are urged to make full use of the Supplementary Admission Form and essay. The Admissions Committee is sensitive to all types of achievement and welcomes information about the candidate’s values, aspirations and personal challenges. Candidates with special skills and talents (i.e., music, theater, debate, art) may be asked to submit additional information according to details available online. As a participating NCAA Division I member institution, Binghamton University extends application periods for prospective student-athletes to accommodate National Letter of Intent signing periods and the review of other prospective student-athlete applications (NCAA Staff Interpretation 02101989). New York state students who meet both historic academic and financial criteria may be admitted to the Educational Opportunity Program (EOP), http://www.binghamton.edu/admissions/apply/freshman/instructions/eop/index.html. Students enroll in a specific undergraduate school at Binghamton University. If internal transfer to a different school is sought, a formal application and guidelines for intra-university transfer must be obtained online at http://www.binghamton.edu/admissions/apply/ and submitted online by the fall or spring deadline. Students are responsible for meeting the specific academic requirements of the school to which they are seeking a transfer. Spaces for intra-university transfers within some programs are limited and competitive. Students should apply well before the beginning of the semester in which enrollment is desired. See the Academic Policies and Procedures section of this publication. Students who wish to defer their enrollment for one or two semesters, after having been admitted and having paid their tuition deposit, should contact the Admissions Office. Deferments are reviewed on a case-by-case basis by the Admissions Committee. Applicants who are citizens of other countries, and who have or will acquire a student visa to study in the United States, whether they are enrolled in a school in the United States or abroad, are required to submit special international student admission forms to the Undergraduate Admissions Office. Application forms are available online at http://www.binghamton.edu/admissions/apply/. International applicants are required to meet the academic standards for admission, show proficiency in English at the college level and submit documentation of sufficient funds to cover all educational and living expenses for the duration of study. Due to delays in the exchange of some foreign currencies, students from certain countries may be required to prepay one year’s academic and personal living expenses to ensure that adequate funds will be available for their study. Scholastic Assessment Test (SAT) or American College Test (ACT) results are required for international students who will graduate from a U.S. high school or a high school outside the United States where the primary language of instruction is English. Freshman international applicants studying outside the U.S. are strongly encouraged to submit results from the SAT or ACT exam. Test results should be sent electronically from College Board or ACT. Students are required to provide their own funds for tuition, fees, housing, meals, insurance and personal expenses. Currently, this figure is estimated at approximately $41,000 (as of March 2017, subject to change). The University cannot provide financial assistance to international undergraduate students. Note, the U.S. Bureau of Citizenship and Federal Immigration Services rarely grants permission to work off campus, and on-campus employment opportunities are limited. Applicants who meet the above requirements are issued a letter of admission and, subsequently, the appropriate Certificate of Eligibility to apply for a student or exchange visitor visa. Additional details regarding admission policies and procedures for international students are sent to all admitted applicants. With the exception of students placed through special educational exchange agreements and those enrolling for the summer term only, all international students are required to be enrolled in a degree program. Test scores from the TOEL iBT (Test of English as a Foreign Language Internet-Based Test), IELTS Academic (International English Language Testing System), SAT, or ACT. We do not have minimum required scores, but many of our international students have scores higher than 90 on the TOEFL, higher than 7.0 on the IELTS, higher than 610 on the Evidence-Based Reading and Writing (new version) of the SAT 550 on the (Pre-march 2016) Critical Reading section of the SAT, and higher than 24 on the English section of ACT. For students who are admitted and whose application or on-campus proficiency test indicates that degree progress would be enhanced by additional English language courses, an appropriate curriculum will be designed for the first year of study. Any courses taken as part of this language support will provide academic credit toward the degree. Under the New York state-supported Educational Opportunity Program (EOP), Binghamton provides an avenue for low-income students from historically under-represented backgrounds to pursue a bachelor’s degree. Students with unrealized potential and talent are provided with financial assistance, tutoring and counseling, the opportunity to take advantage of credit-bearing developmental courses where needed, and other student support services required to provide a transition into any one of the degree programs offered by the University. Continued enrollment in EOP is contingent upon meeting program expectations and use of student services. Complete program guidelines set forth by New York state can be accessed at http://www.suny.edu/Student/academic_eop.cfm. Students who believe they may qualify for this program should complete either the SUNY Application or The Common Application in addition to any required EOP financial forms. Further instructions on how to apply can be found at http://www.binghamton.edu/admissions/apply/freshman/instructions/eop/index.html. A transfer applicant is someone who graduated from high school and has completed (or will have completed) at least one 3-credit college course prior to the semester of planned enrollment. The completion of one full-time college semester is preferred. Applications are available online at http://www.binghamton.edu/admissions/apply/. Binghamton University accepts The Common Application, the State University of New York (SUNY) Application and the Coalition Application. Binghamton also requires Nursing candidates to complete Binghamton's Supplementary Admission Form that provides additional information about course-work, extra-curricular activities, awards, and other experiences. EOP applicants must also submit the required EOP forms. Students applying for transfer admission during their first year of college must also submit an official copy of their high school transcripts. Transfers with fewer than 24 post high-school college credits must submit a high school transcript and are strongly encouraged to submit SAT/ACT scores. It is highly recommended that all other students submit their high school transcripts. For some students, admission decisions may be delayed until grades from two consecutive college semesters or mid-semester grades from the current semester are available; in such cases, students are notified of this requirement. Transcripts should be sent directly to the Undergraduate Admissions Office at Binghamton University. Transfer students are admitted on the strength of their academic performance at the two and/or four-year colleges they have attended. For more information on admission standards, visit http://www.binghamton.edu/admissions/apply/transfer/. It is essential that all final college and final high school transcripts (or GED) for newly-enrolled students be received well before classes start so that a complete transfer credit evaluation may be conducted by an academic adviser. College coursework record(s) should be sent in a timely manner to the Undergraduate Admissions Office to ensure a final credit evaluation is conducted by each school at Binghamton University. Typically, a final credit evaluation is made available by academic advising for new students attending orientation, thereby allowing the student to schedule the appropriate courses prior to the start of the semester. The awarding of transfer credit is determined by each undergraduate school. Evaluations are completed for admitted and/or enrolled students by the advising office of each school, available via the BU Brain. Questions regarding transfer credit decisions may be discussed with the academic advising staff within your school at Binghamton University. Binghamton University values enrollment honesty and integrity. Undergraduate and graduate students applying for admission or readmission must provide full and accurate information on the appropriate application. Students falsifying information by any method may be suspended or dismissed from the University or have their admission rescinded. Consideration of Undergraduate and Graduate Admissions Applications from Individuals Who Have Been Suspended or Expelled from a College or University for Disciplinary Reasons: Disciplinary suspension or expulsion from another college or university is not grounds for automatic rejection of an application for admission to Binghamton University. If the applicant is academically admissible, additional information is requested about the expulsion or suspension. A Special Circumstance Committee chaired by the Dean of Students requests a personal statement and signed release form giving Binghamton permission to obtain and discuss documents related to the incident. The Special Circumstance Committee may recommend acceptance of the applicant, acceptance of the applicant with restrictions on participation in university life at Binghamton University, or rejection of the applicant based on the nature of the incident(s) that caused the disciplinary suspension or expulsion. An appeal of the decision of the committee may be made to the provost and vice president for academic affairs. Questions regarding this policy should be directed to the Provost, Binghamton University, PO Box 6000, Binghamton, New York 13902-6000. Consideration of Undergraduate and Graduate Admissions Applications from Individuals with Felony Convictions: State law prohibits discrimination against those previously convicted of criminal offenses (Correction Law, S750 et seq.). However, the law permits an institution to deny an application for admission based on an individual’s prior conviction when the admission “would involve an unreasonable risk to property or to the safety or welfare of specific individuals or the general public” (S752). In making a determination, the public agency or private employer shall also give consideration to a certificate of relief from disabilities or a certificate of good conduct issued to the applicant, which shall create a presumption of rehabilitation in regard to the offense or offenses specified therein. Applications for admission to Binghamton University from individuals with felony convictions are considered in accordance with the above criteria. A special circumstance committee reviews such applications if the applicant meets academic admission criteria. The applicant is required to sign a release permitting the committee to obtain documents related to criminal offenses and allowing the committee to discuss the circumstances related to such offenses with corrections officials. Applications are considered incomplete until additional information is provided to Binghamton University. In addition to signing the release mentioned above, applicants with criminal convictions must provide a complete criminal background history. Upon receipt of the required material, the special admissions committee reviews the circumstances pertaining to such applications and makes its recommendation. The Special Circumstance Committee may recommend acceptance of the applicant, acceptance of the applicant with restrictions on participation in university life at Binghamton University, or denial of the applicant based on the nature of the criminal offenses. An appeal of the decision of the committee may be made to the provost and vice president for academic affairs. Questions regarding this policy should be directed to the Provost, Binghamton University, PO Box 6000, Binghamton, New York 13902-6000. External examination credit includes credits earned through Advanced Placement (AP), International Baccalaureate (IB), College Level Examination Program (CLEP), Excelsior College Examinations (formerly known as Regents College Examinations), DANTES Standard Subject Tests (DSST) or through official transcript evaluation of courses taken at other institutions. Selected external credits may apply to General Education or major requirements as specified. Students in Harpur College of Arts and Sciences may apply a maximum of 32 external examination credits towards a degree. AP and IB course equivalencies follow. Advanced Placement examinations with a grade of 3 or better are approved for credit, with the amount and applicability determined by the appropriate academic unit. Score of 3: four elective credits. May be used to fulfill the Aesthetics General Education requirement. Score of 4 or 5: four credits equivalent to ARTH 110. May be used to fulfill the Aesthetics General Education requirement. Score of 3: four elective credits. May not to be used toward the biological sciences or biochemistry majors. Score of 4: four credits equivalent to either BIOL 117 or BIOL 118. A biological sciences advisor, in consultation with the student, will determine appropriate placement. May be used to fulfill the Laboratory Science General Education requirement. Score of 5: eight credits equivalent to BIOL 117 and BIOL 118. May be used toward the biological sciences major. May be used to fulfill the Laboratory Science General Education requirement. Score of 3: four elective credits. Score of 5: eight credits equivalent to BIOL 117 and BIOL 118 that may be used toward the biological sciences major. BIOL 118 credit may be used to fulfill the Introduction to Biology requirement of the nursing major. The remaining four credits count as elective credit towards satisfying the overall degree requirements in nursing. May be used to fulfill the Laboratory Science General Education requirement. Score of 3, 4 or 5: four credits equivalent to MATH 224/225. May be used to fulfill the Mathematics/Reasoning General Education requirement. Score of 3: four credits equivalent to MATH 224/225. May be used to fulfill the Mathematics/Reasoning General Education requirement. Score of 4: eight credits equivalent to MATH 223 (2 credits), MATH 224 (2 credits), MATH 225 (2 credits) and MATH 226 (2 credits). May be used to fulfill the Mathematics/Reasoning General Education requirement. Score of 5: eight credits equivalent to MATH 224 (2 credits), MATH 225 (2 credits), MATH 226 (2 credits) and MATH 227 (2 credits). May be used to fulfill the Mathematics/Reasoning General Education requirement. Score of less than a 3 on the BC exam with a 4 or 5 subscore for Calculus AB: four credits equivalent to MATH 224/225. May be used to fulfill the Mathematics/Reasoning General Education requirement. Score of less than a 3 on the BC exam with a 3 subscore for Calculus AB: four credits equivalent to MATH 223/224. May be used to fulfill the Mathematics/Reasoning General Education requirement. Score of 3: four credits equivalent to CHEM 101. May not be used to fulfill chemistry major requirements. Score of 4: four credits equivalent to CHEM 107 or CHEM 111. A chemistry advisor, in consultation with the student, will determine appropriate placement. May be used to fulfill chemistry major requirements. May be used to fulfill the Laboratory Science General Education requirement. Score of 5: eight credits equivalent to CHEM 107 and CHEM 108. May be used to fulfill chemistry major requirements. May be used to fulfill the Laboratory Science General Education requirement. Score of 3, 4 or 5: four elective credits. May be used to fulfill the Foreign Language General Education requirement. Score of 3, 4 or 5: four credits equivalent to PLSC 113. May be used to fulfill Political Science major requirements. May be used to fulfill the Social Science General Education requirement. Score of 3, 4 or 5: four elective credits. Score of 3: four credits of free elective. Score of 4 or 5: eight credits of free elective. Score of 3, 4 or 5: four credits of free electives. Score of 3, 4 or 5: four elective credits. Not to be used to fulfill major requirements. Does not satisfy Harpur College Writing requirement. Score of 3, 4 or 5: four credits. May be used toward English and communication requirements in the Computer Science major. For engineering majors, four credits may be entered as generic English credit. Score of 3, 4 or 5: four elective credits. Not to be used to fulfill major requirements. Does not satisfy Harpur College Writing requirement. May be used to meet Humanities General Education requirement. Score of 3, 4 or 5: four credits. May be used to meet humanities or distribution requirements. Does not satisfy School of Management writing requirement. May be used to meet Humanities General Education requirement. Score of 3, 4 or 5: four credits equivalent to ENVI 101. Score of 4 or 5 may be used to fulfill the Laboratory Science General Education requirement. Exam discontinued by AP following the May 2009 exam administration. Score of 3 or 4: four elective credits. May be used to fulfill the Foreign Language General Education requirement. Contact the department to discuss placement in the major. Score of 5: four credits equivalent to GERM 203. May be used to fulfill German major requirements after consultation with the department. May be used to fulfill the Foreign Language General Education requirement. Score of 3, 4 or 5: four credits equivalent to GEOG 101. May be used to fulfill the Social Science General Education requirement. Score of 3: four credits equivalent to ITAL 211. Score of 4: four credits equivalent to ITAL 215. Score of 5: four credits equivalent to ITAL 215. May be used to fulfill the Foreign Language General Education requirement. Course placement – score of 3, the next course would be ITAL 215; score of 4, the next course would be ITAL 241; score of 5, the next course would be ITAL 241 or above. Exam discontinued by AP following the May 2012 exam administration. Score of 3: four elective credits. Score of 4 or 5: four credits equivalent to LAT 203; consult with Classics and Near Eastern Studies department to determine whether this may count towards the major. May be used to fulfill the Foreign Language and Humanities General Education requirements. Score of 3: four credits equivalent to SPAN 211. Score of 4: four credits equivalent to SPAN 215. Score of 5: four credits equivalent to SPAN 215. May be used to fulfill the Foreign Language General Education requirement. Score of 3: four credits equivalent to SPAN 250. Score of 4 or 5: four credits equivalent to SPAN 251. May be used to fulfill the Foreign Language and Humanities General Education requirements. Score of 3, 4 or 5: four elective credits. May be used to fulfill the Social Science General Education requirement. Binghamton University students may earn credit by exam for coursework completed in high school under the International Baccalaureate Program. Credit is awarded as follows: students scoring a 4 or 5 receive four credits for a subject, and students scoring a 6 or 7 receive eight credits for a subject. General Education credit can be awarded for successfully completing IB exams in the following areas: Aesthetics, Humanities, Mathematics, and Social Science. Students who received an IB score of 6 on the Biology or Environmental Sciences exam, an IB score of 5 on the Chemistry exam or an IB score of 7 on the Physics exam will receive general education laboratory science credit. In addition, the General Education requirement for foreign language may be satisfied by a score of 4-7 on the IB exam. The student must complete at least three IB exams with a score of 5 or higher. IB diploma holders who meet these conditions receive credit for their individual exam scores plus additional liberal arts elective credit totaling 32 credits. The IB student who does not meet all of these conditions will receive credits on a course-by-course basis. Credit is usually granted for liberal arts courses completed at other accredited institutions. In addition, up to 32 elective credits may be granted for the study of theoretically oriented courses of a non-liberal arts nature. Academic credit may be granted only if a grade of Pass or a C– or better was earned in the course. Undergraduate students must have earned a grade of C or better from an accredited college or university to receive credit for any transfer courses, including those completed as part of the associate degree. In cases where questions arise about the transferability of a course, a Human Development academic standards committee will review and provide a recommendation about the status of a course. Please note that HDEV 200 (Introduction to Human Development), HDEV 400 (Social Justice) and HDEV 475 (Practicum in Human Development) are not transferable courses and must be taken in the Department of Human Development at Binghamton University. In addition, please note that HDEV 300 is not transferable without the evaluation of a relevant course syllabus and departmental approval. As such, it is expected that the research methods course is equivalent in scope to the HDEV 300 course. Questions concerning the transfer of academic and advanced-standing credit should be addressed to the CCPA Human Development undergraduate academic advisor. Official transcripts and certificates of completion submitted by applicants for transfer credit are evaluated by the CCPA Human Development undergraduate academic advisor. The final decision to deny or grant academic credit rests with the dean of CCPA. Applicants to graduate programs in the Department of Teaching, Learning and Educational Leadership are required to submit college transcripts and GRE (General Test) scores, as well as a résumé, personal statement and letters of reference attesting to the applicant's teaching competence and potential to successfully complete graduate study. Refer to http://www2.binghamton.edu/gse/teacher-education/apply.html for up-to-date information about prerequisites and application to programs within CCPA's Department of Teaching, Learning and Educational Leadership. The department will gladly consider applications submitted throughout the year as long as there are openings (inquire within programs). Decker School of Nursing admits transfer students with advanced standing to the sophomore or junior level of the undergraduate program. Transfer applicants include students with liberal arts and science coursework from a two-year or four-year institution, students with baccalaureate or higher degrees in other fields, and registered nurse students from associate degree programs and hospital diploma schools. competitive cumulative and prerequisite GPA of 3.0 or above. A minimum of 128 credits is needed to meet the program requirements. Credit for liberal arts and science coursework, including courses prerequisite to the nursing major, may be transferred for courses where a grade of C– or better has been earned. Credit for courses in which the student has received a grade of D may not be transferred. Credit for upper-division nursing coursework taken in another baccalaureate nursing program is evaluated on an individual basis. See “Transfer Student Admission” in the Decker School of Nursing section or contact the Decker School for more information. Liberal arts courses, including all courses prerequisite to upper-division nursing courses and taken at other colleges and universities, may be accepted in transfer. Graduates of community college nursing programs may transfer nursing coursework. Twenty credits may be used to fulfill nursing major requirements and additional credits count toward the degree as general elective credits. There is no limit on the number of transfer credits. Residency requirements of the University of at least 30 credits are met by taking the 32 credits of required coursework in the nursing major. The 30 credits in residence must be the last courses taken toward the degree, unless a student petitions the Educational Policies Committee and obtains, in advance, an exception to this rule. Registered nurse students may choose to present evidence of professional experience, continuing education in nursing, specialty certification, etc., to extend the time frame for direct transfer of nursing and required prerequisite courses. Graduates of hospital diploma programs may be granted up to 30 college credits for nursing coursework with an acceptable level of achievement on selected Excelsior College Examinations in nursing. An unlimited number of credits may be transferred. Residency requirements are described earlier in this section. A complete program plan for the registered nurse student is developed in consultation with the faculty advisor to meet individual needs. Applicants with a baccalaureate or higher degree in another field wishing to earn the bachelor of science degree in nursing are required to complete the prerequisite courses listed in the Decker School of Nursing section and required nursing coursework. Applicants may be eligible for admission to the accelerated baccalaureate track program. See “Program Options” in the Decker School of Nursing section or contact the Decker School for more information. In order to maximize credit transfer, students who have taken two years of undergraduate education at another college or university, and who wish to transfer into the School of Management for their junior and senior years, should have concentrated their first two years of academic work in arts and sciences courses, attaining at least 30 hours of credit in such subjects with grades of C or better. The student’s first two years of education should therefore consist of work in the following areas: English and literature (including at least one course in compositional techniques); economics (including one course each in microeconomic and macroeconomic theory); mathematics (including at least one course in calculus); and elective coursework in the humanities, social sciences and natural sciences — with special attention to courses that fulfill the University’s General Education requirements. Students may also choose to further supplement their first two years of undergraduate education with courses in the principles of financial accounting, statistics and business law. Such courses are an important foundation for the professional coursework that composes the School of Management student’s final two years of study. Students whose two-year curriculum closely follows the pattern above will have completed coursework that maintains the course sequence adhered to by School of Management students during their freshman and sophomore years. While students are able to transfer courses and/or credit for the specific business administration and accounting courses indicated above, in accordance with the school’s transfer credit policy, transfer credit for upper-division accounting and business administration coursework is not granted without ample evidence of its basic equivalency to analogous coursework taught in the School of Management, unless these courses are taken at AACSB-accredited business programs during the junior or senior year of study. Thus, students completing upper-division accounting and business administration coursework as part of freshman or sophomore years of study must formally “validate” all such courses for which transfer credit is requested. Normally this requires (at a minimum) completion of a detailed proficiency examination in each course area for which transfer credit is requested. The coverage of such examinations is based on the appropriate coursework as it is taught in the School of Management. Although most transfer students have completed two years of college work, students may be accepted for transfer at any time during their college careers, if space permits. School of Management transfer spaces are very limited and consequently admission is highly competitive. Admission is granted primarily on the basis of academic proficiency in appropriate courses; candidates generally need above a 3.2 average for admission. Advanced-standing credit is generally granted for all work comparable to that offered by Binghamton University. In addition, up to 16 hours of free elective credit may be granted for courses not comparable to any offered by Binghamton, provided that the work was theoretical/analytical rather than applied in nature. Courses falling within this category may not include business or accounting courses. Advanced standing is not granted for courses completed with a grade lower than C.
Admission to the Doctor of Pharmacy (PharmD) program will be via the Pharmacy College Application Service (PharmCAS; http://pharmcas.org). Students must complete at least two years of study at a regionally accredited college or university (or an equivalent institution) to enroll. All prerequisite courses (see below) must be completed by the time of matriculation, with grades of "C-" or better prior to enrollment. Prerequisites must be completed within seven years preceding matriculation. Exceptions may be considered upon review of a student’s full application. A minimum overall GPA of 2.75 and a minimum GPA of 2.75 in all science and mathematics courses are required for entry. All applicants must take the Pharmacy College Admission Test (PCAT). An applicant's PCAT results cannot be older than five years. While the SOPPS does not have a minimum PCAT score, scores at or above the national average are considered highly competitive for entry. Additionally, competitive applicants will be invited to and must complete an on-campus interview to be considered for admission. The admission process is holistic and will consider a variety of factors including academic record, intellectual achievements, extracurricular activities and personal background rather than being solely based on an empirical formula of GPA and PCAT scores. Additional consideration will be given to those with community service, patient care, pharmacy and/or military experience. The SOPPS focuses on maintaining a culturally diverse student population. Students transferring into the Watson School have their credits evaluated on a course-by-course basis. Any courses in which they receive a grade of C– or better and which apply to their major requirements will transfer. Students transferring into the junior year of biomedical engineering, computer engineering, electrical engineering, industrial and systems engineering or mechanical engineering normally hold the degree of associate of science in engineering science (or equivalent coursework). Students transferring into the Watson School should work with the Watson School Advising Office to have their current and future coursework evaluated for transfer. The Watson School Advising Office evaluates all credits on a course-by-course basis, including General Education courses and major requirements. All transfer courses that earn a C- or better, including computer science major requirements and General Education courses, are awarded on a course-by-course basis. Transfer students should work with the Watson School Advising Office to have their current and future coursework evaluated for transfer. The University encourages certain types of students to pursue coursework on a non-matriculated basis, within certain academic limits. Those who wish to take courses for credit, and who intend to apply for matriculation into the University, may enroll as non-degree students, provided they have been out of high school at least one year and give evidence of the ability to do satisfactory work. Others, including visiting students interested in taking a limited amount of coursework for transfer or prerequisite purposes, may also do so as non-degree students. Finally, those individuals interested in taking credit-bearing courses for their own personal improvement or enjoyment, which will not transfer into a degree from the University, may do so as a special type of student known as the lifelong learner. All undergraduate non-degree students are strongly encouraged to meet regularly with the non-degree student advisor in the Harpur College Academic Advising Office to explore available options and develop a personalized educational plan to guide their efforts at Binghamton University. Undergraduate non-degree students may attend part time or full time each semester, are limited to a total maximum of 24 attempted credit hours of coursework, and must maintain GPA standards set by Harpur College. Beyond that point, individuals may continue taking courses at Binghamton only by gaining admission into a degree-granting program or agreeing to become a lifelong learner. Applications for admission to the University and information on deadlines are available from Undergraduate Admissions. Students may apply for lifelong learner status through the Harpur College Academic Advising Office. Students suspended or dismissed from another college or university may not enter Binghamton until one major semester has elapsed since the date of dismissal. Summer Session and Winter Session are not major semesters. Applicants 21 years or older without a high school diploma or its equivalent who have not enrolled in any previous college-level coursework may apply only as non-degree students. Upon completing appropriate coursework, a student may apply for a high school equivalency diploma and, upon receiving it, seek admission to a degree program by completing the appropriate application for matriculation. Students interested in earning a high school equivalency diploma should work with the New York State Education Department. While non-degree status has certain limitations, many students have found it to be a strategic and useful way of continuing their journey toward achieving their most valued educational goals. Students attending and in good standing at other colleges or universities who wish to enroll in the University for one or two semesters apply as non-degree students. This status is generally available only for Harpur College of Arts and Sciences and College of Community and Public Affairs, but inquiries about spaces in the Decker School of Nursing, School of Management and Thomas J. Watson School of Engineering and Applied Science should be directed to the Admissions Office. Admission as a visiting student or for one of the study-abroad programs does not imply admission to a degree program at Binghamton University. Visiting students who become interested in pursuing a degree at Binghamton must apply for admission by completing the SUNY application. This program is open to qualified Binghamton-area secondary school and home-schooled students who wish to take coursework in the arts and sciences at Binghamton University during their junior and/or senior years. Courses taken by College Link students carry regular University credit and will appear on their official University transcript. College Link students are considered non-degree students, and therefore, not admitted into a degree-granting program of the University. Specific information concerning admissions procedures and academic standards for the College Link Program is available in the Harpur College Dean's office. Binghamton University’s Harpur College Academic Advising Office is responsible for administratively overseeing the educational activities and academic advising of undergraduate non-degree students. All undergraduate non-degree students are directed to the non-degree advisor in the Harpur College Academic Advising Office for their initial contact. Administrative duties, school coding and most advising activities are handled by the Harpur College Academic Advising Office. Once non-degree students apply and are formally admitted as students into a degree-granting program, the admitting school takes over all administrative and advising duties and intra-University transfer policies take effect. Students may satisfy their interest in a subject area or explore a new area of study through a course audit. By auditing, they participate in, but do not receive credit for, the course. Course Audit Petitions are available in the Registrar’s Office and the Graduate School. Students may register for audits within the course add period only. Credit-bearing courses may not be changed to audit courses after the course-add deadline, nor may audited courses be changed to credit courses after this deadline. Audited courses do not satisfy degree requirements. Students who audit a course must pay full tuition and fees. A course taken on an audit basis will not be counted in determining full-time status for financial aid eligibility, student loan deferments, NCAA eligibility, assistantship or fellowship eligibility, on-campus housing, or for some health insurance coverage. New York residents 60 years of age or older may audit courses free of charge when space is available. Courses may not be taken for credit. Consent of the instructor is required. Persons interested in auditing courses are encouraged to contact the Harpur College Academic Advising Office at 607-777-6305. Exception: Applicants for the PharmD program in the School of Pharmacy and Pharmaceutical Sciences (SOPPS) must meet the requirements listed in the SOPPS section of the Bulletin. Applicants must have completed certain courses and must have, at minimum, a 2.75 GPA. Unofficial transcripts are accepted for application review; official transcripts are required upon admission. Exception: Applicants for the PharmD program in the School of Pharmacy and Pharmaceutical Sciences (SOPPS) must apply through the Pharmacy College Application Service (PharmCAS) and submit official Pharmacy College Admission Test (PCAT) scores. These and all other required documents must be submitted according to the instructions on the application and in the Graduate School Manual. Please review individual department admission requirements before submitting an application, as different programs may have different requirements. Students are admitted after recommendation for admission from the department or program and with approval from the vice provost and dean of the Graduate School. The vice provost and dean may waive the admission requirement of official test scores in individual cases, on the recommendation of the department’s director of graduate studies. Students who do not submit official test scores may be admitted but may be required to submit test scores before they achieve regular matriculated status. Admission to graduate study in any discipline does not imply admission to candidacy for a degree. Such candidacy is subject to specific requirements as defined by the academic programs and schools/colleges. Students must have the approval of the program or school/college in which they wish to major before they may become candidates for the degree in a specific subject. Application instructions and forms are available online. Applicants should carefully read the detailed online instructions. These instructions direct applicants regarding electronic submission of materials. When the completed application is received, recorded and matched with appropriate test scores (sent at the applicant’s request by the appropriate testing agency), the application is forwarded to the department or program for review. Applications for the PharmD program are processed through the PharmCAS. Individual graduate programs have their own criteria for evaluation. Some programs require credentials beyond those required by the Graduate School. Applicants should review the requirements specified by the program and should contact the program office if they have questions. Like other highly competitive graduate institutions, Binghamton University has deadlines for the receipt of completed applications. Decisions on admission and funding are made early in the spring for the following academic year. To be considered for University funding, students must submit completed applications to the Graduate School by the deadline specified by the graduate program. See deadlines. International applicants should generally apply at least one month before these deadlines. All applicants are evaluated and considered for fellowships and assistantships. There is no general application for funding. There may be additional application requirements for program-specific funding. Applicants should check with the program office if they have questions. Degree status: Students are admitted as fully qualified to undertake a program leading to a graduate degree, as determined and specified in the University’s offer of admission. Conditional admission: Students who do not meet all academic requirements for admission, as determined by the academic program, may be admitted conditionally. Specific conditions for admission to degree status and a timetable for fulfilling those conditions will be identified by the program at the time of conditional admission. Each semester, the program will review the student’s progress toward satisfying those conditions and recommend appropriate action by the vice provost and dean. Due to federal regulations, international students are not eligible for conditional admission. Applicants to the Graduate School who are not citizens or permanent residents of the United States, whether they are enrolled in a college/university in the United States or abroad, are required to meet academic standards for admission to a degree program, show proficiency in English at the college level and certify that they will have the required funds needed for each year of study. When applicants are offered admission to Binghamton University, the Office of International Student and Scholar Services (ISSS) issues a Certificate of Eligibility: either Form I-20 (F-1 visa) or Form DS-2019 (J-1 visa). Although special circumstances may allow an individual to be admitted as a continuing education student for one term, international students (F-1 visa) generally are not eligible for admission in continuing education status. To certify English proficiency, international applicants must submit official scores from the Test of English as a Foreign Language (TOEFL), the International English Language Testing System (IELTS) or the PTE Academic. Applicants who have a college or university degree from a regionally accredited U.S. college or university OR from an institution in the United Kingdom (England, Northern Ireland, Scotland and Wales), Ireland, Australia, New Zealand or Canada (except Quebec) are eligible for a waiver. The required minimum scores are detailed in the Graduate School Manual. Additional instruction in English may also be required. International applicants must guarantee and certify funds sufficient to cover the cost of education, as posted by the Graduate School and the federal government. This figure includes living expenses, tuition, fees and insurance expenses. Additional funds are needed for a spouse and for each child accompanying the student to the United States. For details, see the International Student Financial Statement (ISFS) Form. Persons holding a baccalaureate degree may apply to enroll in graduate courses. Application for status as a non-matriculated/non-degree student is processed by the Graduate School. Non-matriculated/non-degree students may take up to 12 credits total, though some academic departments and schools/colleges limit that number further. Academic departments and schools/colleges may also restrict enrollment in their courses to degree and certificate matriculated students. Degrees, certificates and financial assistantships are not granted to non-matriculated/non-degree students. Depending on the curriculum requirements of a program, some courses taken as a non-matriculated/non-degree student may be applied toward a degree, if the student later gains admission to a Binghamton University graduate degree or certificate program. The maximum number of credits taken as a non-matriculated/non-degree student that can be applied toward a degree is 12 and toward a certificate is 8. Whether non-matriculated/non-degree credits will be applied toward a degree or certificate is determined at the time of admission to a degree or certificate program. Non-matriculated/non-degree credits will not be applied toward a degree or certificate once the student has begun the degree or certificate program. Students should take no more than 12 graduate-level credit hours as a non-matriculated/non-degree student if they plan to eventually pursue a graduate degree. If at a later date a student decides to apply to the Graduate School for admission to a degree program, a graduate degree application must be submitted electronically. If the student is admitted to a degree program, they should obtain an evaluation of graduate courses taken as a non-matriculated/non-degree student from the department. Through this evaluation, those courses that are found appropriate may be officially credited toward the student’s degree. All graduate students admitted to a degree program must register for each semester, excluding summer and winter, until all degree requirements have been completed. Students who fail to maintain continuous registration, unless granted a formal leave of absence, are ineligible to resume graduate study until readmission has been approved. Students applying for readmission to a graduate program are subject to the rules, procedures, curriculum and standards in effect at the time of readmission. Readmission is not automatic and may be subject to additional conditions set by the department or school/college or by the vice provost and dean of the Graduate School. Continuing education students who fail to register for more than two consecutive semesters, excluding summer and winter, are not permitted to register for courses until they have been readmitted. Applications for readmission may be obtained online. The regular application fee is assessed for all applications for readmission to Binghamton University graduate degree programs. Consideration of Graduate Admissions Applications from Individuals Who Have Been Suspended or Expelled from a College or University for Disciplinary Reasons: Disciplinary suspension or expulsion from another college or university is not grounds for automatic rejection of an application for admission to Binghamton University. However, applications are considered incomplete until additional information is provided to Binghamton University. The applicant is required to sign a release permitting a special admissions committee convened by the vice provost and dean to obtain documents related to the disciplinary suspension or expulsion and allowing the committee to discuss the circumstances related to such action with college officials at the previous institution. Upon receipt of the required materials, the special admissions committee reviews the circumstances pertaining to such applications and makes its recommendation. The special admissions committee may recommend acceptance of the applicant, acceptance of the applicant with restrictions on participation in university life at Binghamton University, or rejection of the applicant. An appeal of the decision of the committee may be made to the vice president for student affairs. Questions regarding this policy should be directed to the Vice President for Student Affairs, Binghamton University, PO Box 6000, Binghamton, New York 13902-6000. Consideration of Graduate Admissions Applications from Individuals with Felony Convictions: State law prohibits discrimination against those previously convicted of criminal offenses (Correction Law, S750 et seq.). However, the law permits an institution to deny an application for admission based on an individual’s prior conviction when the admission “would involve an unreasonable risk to property or to the safety or welfare of specific individuals or the general public” (S752). In making a determination pursuant to section 752 of this chapter, the public agency or private employer shall also give consideration to a certificate of relief from disabilities or a certificate of good conduct issued to the applicant, which shall create a presumption of rehabilitation in regard to the offense or offenses specified therein. Applications for admission to Binghamton University from individuals with felony convictions are considered in accordance with the above criteria. A special admissions committee convened by the vice provost and dean reviews such applications and the applicant is required to sign a release permitting the committee to obtain documents related to criminal offenses and allowing the committee to discuss the circumstances related to such offenses with corrections officials. The special admissions committee may recommend acceptance of the applicant, acceptance of the applicant with restrictions on participation in university life at Binghamton University, or rejection of the applicant. An appeal of the decision of the committee may be made to the vice president for student affairs. Questions regarding this policy should be directed to the Associate Vice President for Student Affairs and Dean of Students, Binghamton University, PO Box 6000, Binghamton, New York 13902-6000.